The booster mp3s combo pack are design to maximally boost effectiveness of all SMF and HT4Y mp3s and audio talismans. 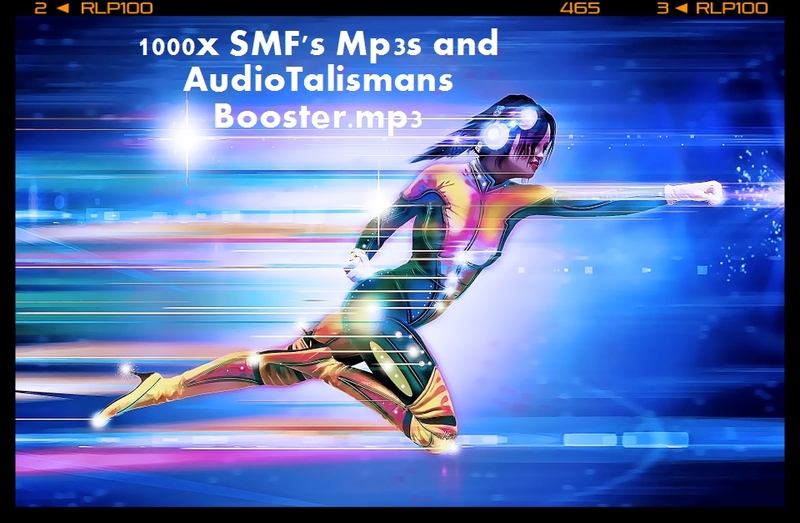 The audio talisman version: “1000xSMF’sMp3sandAudioTalismansBoosterAT2.mp3” can be used as well before as during listening to any SMF’s & HT4Y mp3s. Good if you lay down on sofa/bed and you are in relaxed state. Silent Bliss Hypnotic v.1 – is very effective and it put listener into lucid, hypnotic journey and is design to creating fast, positive long-term changes. The Hypnosis v.1 version can be listen in loop about 20-30 minutes before listening to mp3s. Everyday usage of Booster’s Mp3 Combo increase effectiveness of all SMF&HT4Y mp3s and guarantee the best possible results. Side effects: Possibility of getting intermediate access to some of Audio Spells’s Energies like Self-Confidence or Overcome Worrying.